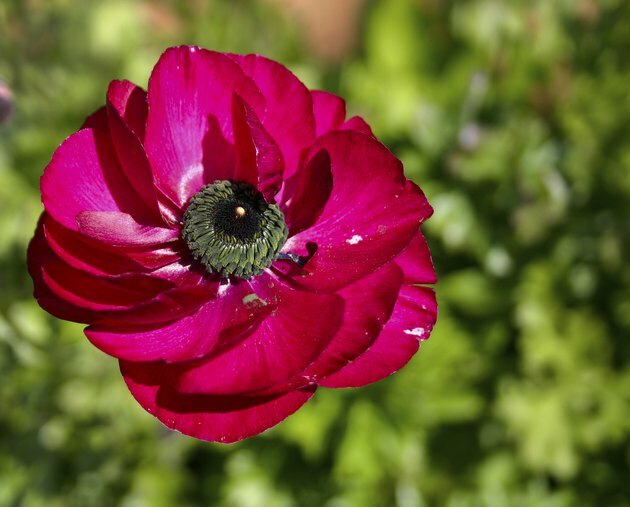 If you enjoy growing flowers, it can be especially rewarding to cut long-stemmed beauties in your own garden and use them in attractive bouquets. Showy flowers on long stems are also a great addition to a blooming garden, especially when you plant different types together for mixed color. You can choose from many different flowering plants that have long-stemmed blossoms. 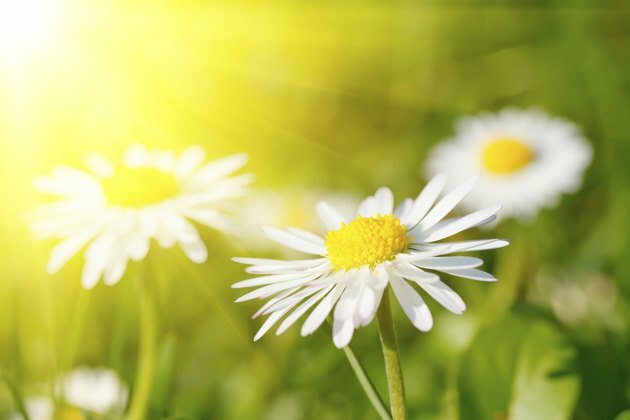 Many blooming plants have daisylike flowers, with brightly colored petals arranged around a prominent center, and some carry their flowers on long, straight stems. The coneflower cultivar called "Herbstsonne" (Rudbeckia "Herbstsonne") is an example, with bright yellow flowers that have green centers and are carried on straight stems on a 4- to 7-foot-tall plant. It is hardy in U.S. Department of Agriculture plant hardiness zones 5 through 9. The coreopsis (Coreopsis grandiflora), also called tickseed, is another member of this group. It belongs to the aster family and has yellow to deep-gold flowers on plants up to 4 feet tall. It thrives in sun in USDA zones 5 through 10. Some plants produce flower buds on long, straight stems, with buds that open into flowers sequentially, usually from bottom to top. 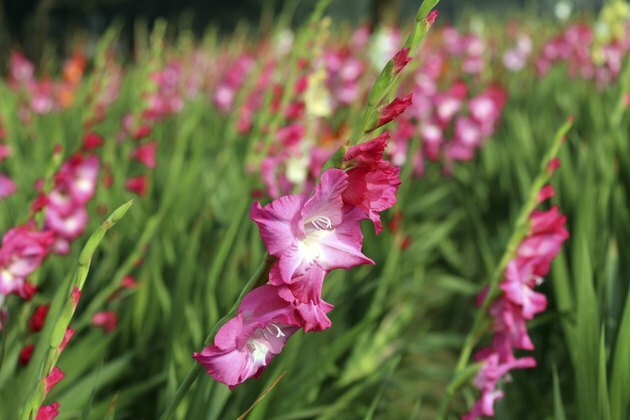 Examples include the gladiolus plant (Gladiolus spp. ), which is hardy in USDA zones 7 through 10 but can grow as an annual in colder regions. Its flowers come in many colors, depending on the cultivar, with some streaked or bi-color. Certain gladiolus cultivars reach a height of 5 1/2 feet, and flowers are borne on spikes that can grow 3 feet tall on some varieties. Each flower lasts several days. The tall bearded iris (Iris germanica) is another example of a sequentially blossoming plant, and it is hardy in USDA zones 4 through 10. Its flowers have drooping petals called falls and upstanding petals called standards, with up to six flowers on each stem, or stalk. The plant's leaves are about 1 1/2 to 2 feet tall, and the flower stalks can grow 3 feet tall. Some flowers on long stems are notable for their many, densely packed petals that appear gradually as the flowers open. Among this group, the ranunculus (Ranunculus asiaticus) is a standout that has many petals arranged tightly around each flower's center. The 18-inch-tall plant grows from a bulb, with flowers in yellow, orange, red and white, and it thrives outdoors year-round in USDA zones 8 through 11 and as an annual elsewhere. Many kinds of roses (Rosa spp.) exist, but the hybrid tea rose is especially notable for its flowers carried on long, stiff stems, with the plant varying in height from about 1 to 3 or 4 feet. 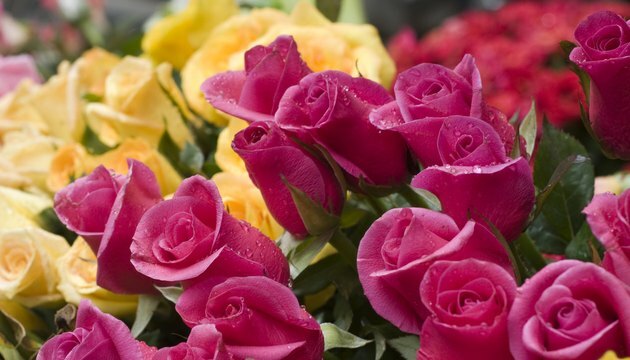 Hybrid tea rose varieties generally are hardy in USDA zones 4 through 9, depending on the specific cultivar. For example, the variety "Dolly Parton" (Rosa "Dolly Parton") is hardy in USDA zones 5 through 9. It is 2 to 3 feet tall and has orange-red, 6-inch-wide flowers with 35 to 40 petals each. Certain flowering plants are notable for their long-stemmed flowers that have unusual features. For example, the ornamental onion (Allium giganteum) grows from a large bulb, producing a 5-foot-tall stem called a scape that's topped with a cluster of many small, star-shaped, purple flowers. Overall, each flower head is softball size, or about 6 inches in diameter. The plant is hardy in USDA zones 5 through 8. 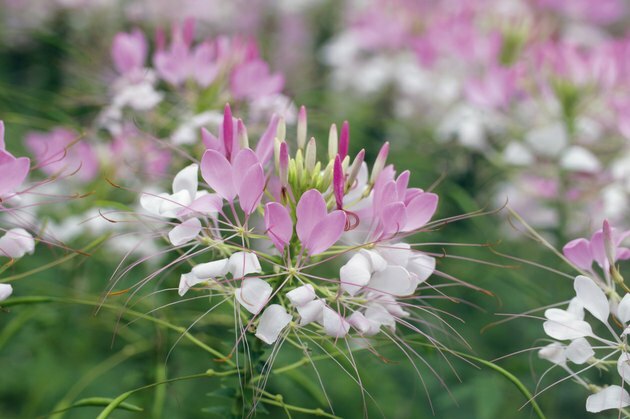 The spider flower (Cleome hassleriana) is another plant with an unusual flower. Perennial in USDA zones 8 through 11 and grown as an annual elsewhere, it produces tall stems that can reach a height of 5 feet with delicate flower clusters at stem tips. 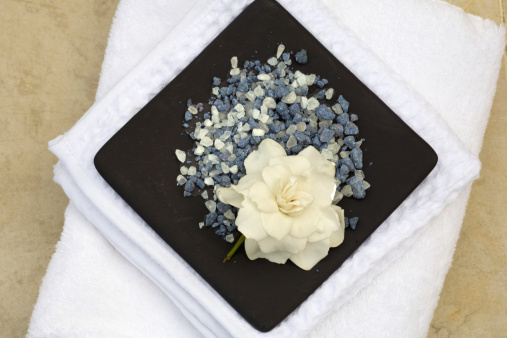 Its flowers can be white, pink or rose, and their long, thin stamens give the blossoms a spidery appearance.